Many individuals find themselves in the unenviable position of receiving a letter from the Massachusetts Registry of Motor Vehicles telling them that either their license is suspended immediately, or will be suspended on a certain date. This letter generally contains a bare minimum of information, and carries some very dire consequences, especially for people who need their license to work and support their family. If you receive one of these letters, the best thing you can do is call an experienced attorney who has handled matters both at the registry of motor vehicles and at the registry of motor vehicles appeals board to discuss your options. In some situations a hearing at the registry of motor vehicles may be sufficient to get your license back. However, it is often the case that the hearings officers at the registry of motor vehicles are not particularly inclined to restore a person’s license privileges. In that situation, it is necessary to take an appeal to the registry of motor vehicles appeals board and argue your case in front of a three-person panel. This panel includes a designee of the registry of motor vehicles, a designee of the Attorney General’s office, and a designee of the Massachusetts Insurance Bureau/Division. These three individuals, who are generally very fair and open-minded, are tasked with the difficult decision of whether a person has shown that they are safe to place back on the roads of the Commonwealth. Some cases that come before them involve the use of alcohol or drugs behind-the-wheel, some cases involve excessive rates of speed or other types of dangerous driving, and some cases simply involve an individual whose age or medical condition has made it seem that their operation is no longer as safe as it used to be. No matter what the situation is, your case will be best presented by an attorney with this specific experience before who understands the appropriate materials that the board will be looking for. Specifically, if your case involves alcohol or drugs you will be well-served to have an attorney at your side who has not only handled registry of motor vehicles appeals, but who has handled those types of criminal cases and understands the nuances in the different sets of facts that may be present in your case. In some situations where a person is not granted their full license back after a hearing at the registry of motor vehicles appeals board, they may still benefit if their attorney can secure them a hardship, or what some people call a Cinderella license. 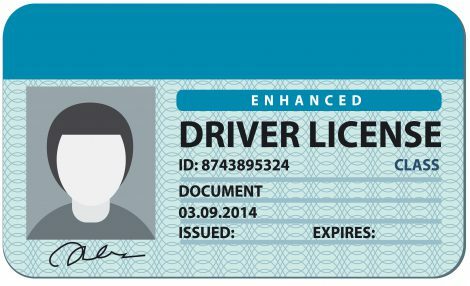 This license allows a person to drive for a set 12 hours per day if they can demonstrate that they have some type of hardship that requires the need to operate a motor vehicle. If a hardship license would assist you, then this is a very important strategy to discuss with your attorney. If you have lost your license, or will soon be losing your license, please call Rakhlin Law at 617-564-0466 for a free consultation as to what your options are either at a registry of Motor Vehicle hearing or a hearing before the registry Board of Appeals.